A silver investment has several unique benefits that make it a smart choice for nearly every type of investor. Whether you’re new to investing in precious metals, or you’ve already purchased gold and you’re looking to add other types of assets to your portfolio, there are many great reasons to invest in silver, especially in today’s uncertain economy. Below, you’ll find just a few of the core advantages that an investment of silver can provide, and why now is an excellent time to consider this precious metal for your financial planning. Any financial advisor will tell you that diversification is key to a well-rounded portfolio. Regardless of how you feel about current risks in the stock market, which we’ll discuss below, it’s never a good idea to put all your eggs in one basket. Silver is a liquid asset that adds the diversification that you need to protect your money from decline in other investments. Over the last several years, we have seen how volatile the stock market can be. From the months that followed September 11, 2001, to the depths of the Great Recession, investors have seen their net worth plummet dramatically, more than once. This has been particularly problematic for those who were planning for retirement but had to continue working in an attempt to make up for lost ground. A lot of uncertainty still surrounds the global economy today, even as the stock market experiences some growth. 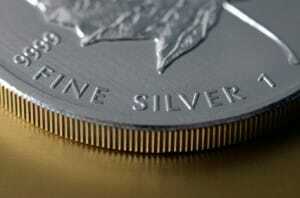 A silver investment can help protect your savings from the next inevitable stock market drop. Like gold, the value of silver tends to increase as the U.S. dollar declines. Unlike paper assets, the government can’t simply churn out more silver in times of economic distress. This makes silver investments an excellent strategy for hedging against inflation and thus preserving your purchasing power for the future. The demand for silver continues to rise, as it is used in a variety of products and is a key resource for the industrial and medical industries. Mining output, however, has been slow to keep up, which is why silver has produced outstanding returns over the last decade. The supply of silver will continue to diminish, and analysts are predicting even more tremendous growth in years to come. A silver investment can be made in bullion for physical possession or placed inside a precious metals IRA. Each option has its own unique advantages, which gives investors the option to choose the investment that makes the most sense for their financial goals and preferences. If you want to learn more about investing in silver, or you’re ready to make an investment, Birch Gold Group can help. Rated A+ by the Better Business Bureau, we offer a variety of precious metal investment options, including silver, gold, platinum and palladium. Silver can be bought for physical delivery or placed within an IRA. Our knowledgeable specialists are happy to go over your options and provide advice tailored to your individual situation. Contact us today by filling out the form on this page, or call us at (800)355-2116.